Behold ladies and gentlemen, before your eyes lay the first shoe that founded GCN, the shoe that made it possible for GCN to be what it is today. Its legacy will never be abolished or outdone. It is the shoe that has to date transformed the lives of many girls in Zimbabwe and the world, who in the past have suffered oppression, injustice, male dominion and harmful cultural practices to mention but a few. Betty would run on foot from police harassments, she endangered her life for a good cause, to see the girl child free and happy in all spheres of influence. With this shoe, our beloved Betty Makoni, founder of Girl Child Network walked day in day out, tirelessly working to help uplift the life of the ordinary girl child first in Zimbabwe and later on the rest of the world, a task that many of us marvel at and label as “unbelievable”. Many remember Betty’s ups and downs, in and around Chitungwiza, sometimes; she would walk to and from the City Centre of Harare to Chitungwiza. Betty will always be remembered for her sleepless nights which she spent walking for the benefit of both the oppressed and vulnerable girls in the society. Her efforts to help curb abuse in all its forms will truly continue to be treasured. Her quest for a harmonized society should indeed be reckoned and appreciated. It is such people we need in our society, it is such passion we need to help us in our endeavours to abolish harmful cultural practices and give the girl child the power and autonomy to decide what she wants. Today we sing, “Girl Child, Sky is the Limit,” it is indeed the limit for the girl child all because of Betty, our respects to her. 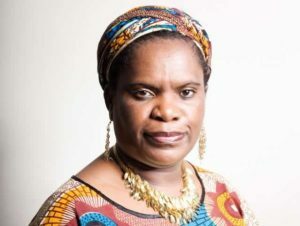 Thank you Muzvare Betty Makoni for helping girls spread their wings and soar to greater heights. We aspire to inspire others through your great work and you are indeed a hero in your own rights! For today, the girl child is free.